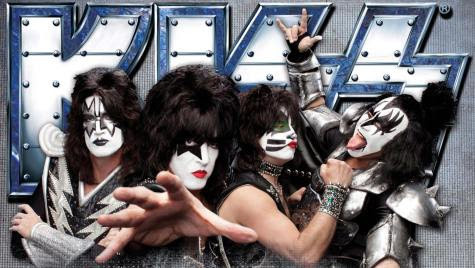 The July 13th KISS show in Calgary has been cancelled due to damage from devastating flooding in the Canadian city. The Calgary Herald reports KISS and other concerts at the Scotiabank Saddledome by Carly Rae Jepsen, Tim McGraw and Dixie Chicks – all scheduled as part of the 2013 Calgary Stampede – have been scrapped while the city tries to get back on its feet. Calgary Stampede chief executive Vern Kimball said the four concerts couldn’t proceed due to the damages the facility suffered during the recent flooding. “Given the size of the four shows, and that they’re all intended for indoor setup with tailored effects and lighting, there was no feasible alternative to host any one of these shows at another Calgary venue during Stampede,” he added. City officials say it will cost at least $256.5 million to repair damage from the flooding that devastated parts of the city last month. The Calgary stop was to be part of KISS’ extensive Canadian summer tour in support of their latest album, “Monster”; shows begin Friday in Victoria, BC.